Recently two legends Amitabh Bachchan and Robert De niro met at Goa. Friends,Robert De Niro (born August 17, 1943) is an American actor, director and producer. His first major film roles were in "Bang the Drum Slowly" and "Mean Streets", both in 1973. Then in 1974, after not receiving the role of Michael Corleone in "The Godfather", he was cast as the young Vito Corleone in "The Godfather Part II", a role for which he won the Academy Award for Best Supporting Actor. His longtime collaboration with director Martin Scorsese began with "Mean Streets", and later earned De Niro an Academy Award for Best Actor for his portrayal of Jake LaMotta in the 1980 film "Raging Bull". He earned nominations for "Taxi Driver" in 1976 and "Cape Fear" in 1991. De Niro received additional Academy Award nominations for Michael Cimino's "The Deer Hunter" (1978), Penny Marshall's "Awakenings" (1990), and David O. Russell's "Silver Linings Playbook" (2012). His portrayal of gangster Jimmy Conway in Scorsese's "Good fellas" earned him a BAFTA nomination in 1990. Its time to give review of Ram Charan Teja's Starer "Zanjeer" with talented Priyanka chopra.This movie is considered as a remake of 70's "Zanjeer" staring Amitabh Bacchhan.At that time this movie was box office hit and gave a big support for the career of Amitabh.Now again Director Apporva Lakhiya remake this movie with new star cast. ACTORS : Ram Charan Teja,Sanjay dutt,Priyanka chopra,Prakash raj,Maahi gill,Ankur bhatia,Atul kulkarni. PRODUCERS : Punnet prakash mehra,Sumit prakash mehra. Story : This is a story about a very sharp ACP Vijay khanna (Ram).When Vijay was 12 year old,somebody kills his parents on his birthday in front of his eyes.Vijay's uncle is living in hyderabad where he was grown up and now he has become ACP.Due to his angry nature ,vijay can't survive in one police station.Vijay is now in mumbai where he faced Sher khan (Sanjay) who is head of car stealing gang.After some time,Sher khan left his all illegal work and become friend of Vijay. During one murder case,he met with Mala (Priyanka chopra) who is eye witness of that murder.Mala is NRI and comes to attending her friend's wedding but now she is sole witness of this murder.After Mala's statement ,vijay finally reaches to Rudra pratap Teja (Prakash raj) who was mastermind of selling duplicate petrol in the market. R.P.Teja always remain sexually oriented with his girlfriend Mona (Maahi gill) and he was also murderer of Vijay's Parents. OVERALL :This movie is debut movie Ram charan who is son of south star Chiranjivi.This movie can't be compared with old zanjeer.But if you are fan of action movies and Sanjay dutt ,you should not miss this opporutinity. YOU CAN ALSO WRITE YOUR OPINION ABOUT THIS FILM. 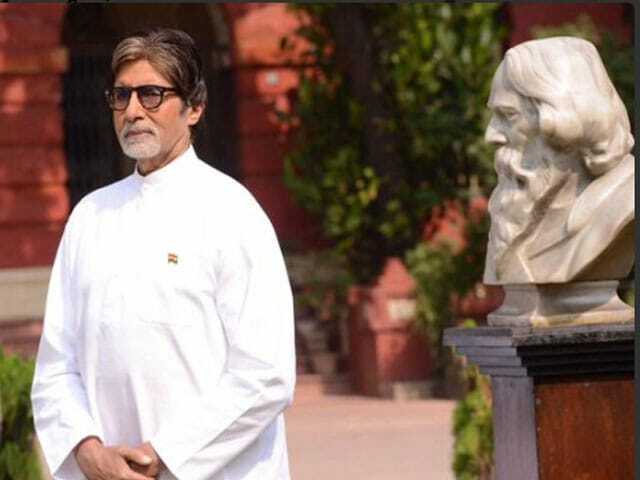 1.Amitabh bacchhan: He is famous as BIG B in B-town .He is the only actor in indian film industry who is Still No 1.He has won "star of the millennium" award.The best part of his acting skills is his angry look , very long dialogs spoken with very high emotional intensity,some flat jokes and many more.He is the only star that film industry will not to lose.His famous films are janjeer,namak halaal,yaarana,suhaag,mohabbatein,aarakshan etc. 2.Dev Anand: Dev sahab is also considered as one of the finest actors in the film industry.He was considered as "Evergreen Hero".His famous film was "Guide"
3.Rajesh Khanna:Rajesh khanna was also the first Superstar of the bollywood industry.At one time he gave 15 super hit films consequently.He was the romantic hero of Bollywood.His famous films were haathi mere saathi,roti,aanand,swarg etc. 4.Dilip kumar:He is considered as one the finest actor in the film industry we have,he was very quit smart ,romantic and good looking hero.His famous films were ram aur shyam,mughle-azam,naya daur,madhumati,karma etc. 5.Salmaan khan:Salmaan is also a romantic action hero of India.He is quit helpful for people of film industry.He gave many persons to act in the bollywood films (like:Katrina kaif).He is also some kind of half mind or rude also because of his utter behaviour.His famous films are hum aapke hain kaun,saajan,maine pyaar kiya,hum saath saath hain,wanted,garv,dabbang-1,2 etc.His acting skills is quit good in action but little poor in comic movies. 6.Sharrukh khan:He is also the finest actor in the industry because of his "Romantic hero" image.His acting is very strong in romantic,emotional scenes but very poor in action and comic movies.Sometimes it look likes that he is over acting.His famous films are dilwaale dulhannia le jaayenge,karan arjun,darr,baazigar,anjaam,mohabbatein,chak de india,kabhi khushi kabhi gham etc. 7.Irfaan khan:He is also one of the best actor in terms of acting skills timing.He is the one the most emerging star doing movies of both Hollywood and bollywood.Bollywood industry can proud of this super talent.His personality is quit boring but his acting skills is just marvelous.His famous films are paan singh tomar,slumdog millionaire,amazing spiderman, sahab biwi aur gangster returns. 8.Emraan hashmi:Emraan is considered as "serial kisser" of the film industry but his acting skills is just marvelous.He always focused on his acting skills and giving super hit films.He is the actor who should be given a cahnce to Hollywood also.His famous films are murder-2,raaz-3,jannat,jannat-2 etc. Other fine film actors are amir khan,rishi kapoor,akshay kumar,ajay devgan,arjun raampal,ranbeer kapoor,ayushmaan khurana,sunny deol.